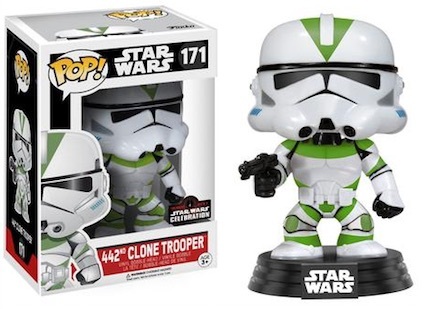 The annual event for all things Star Wars, the 2017 Funko Star Wars Celebration exclusives give collectors another reason to visit Orlando, or at least search the web for figures. Of course, this is in addition to the typical con events like actor signings and impressive cosplay. 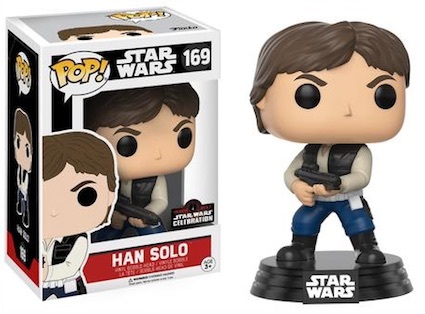 As many collectors know, Funko Pop Star Wars is one of the biggest vinyl lines in existence, in both the overall popularity and the number of figures in the set. 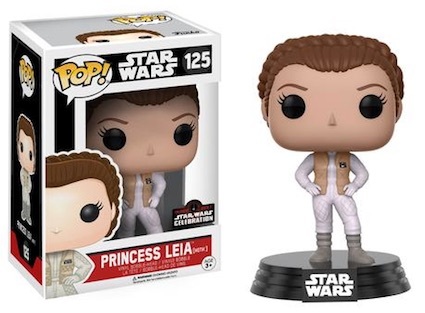 The Funko exclusive figures at 2017 Star Wars Celebration add to these totals with more limited options. 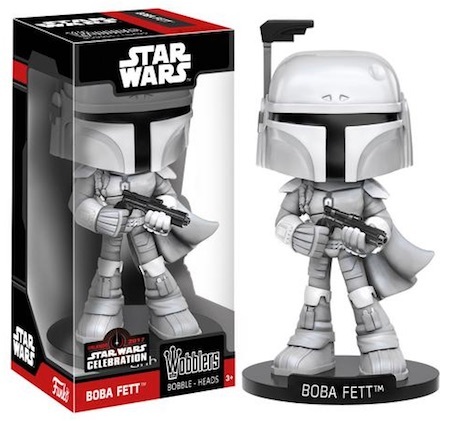 Shop for Funko Star Wars Celebration Exclusives on eBay. 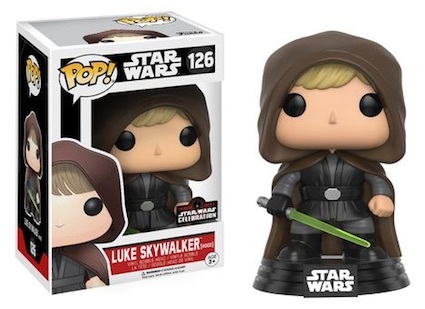 Revealed in multiple waves, the 2017 Funko Star Wars Celebration exclusives include a Pop! 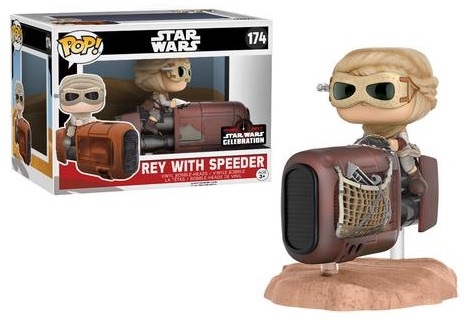 Deluxe figure for Rey and her speeder along with a new action pose for Han Solo and a holographic variant of Qui Gon Jinn. 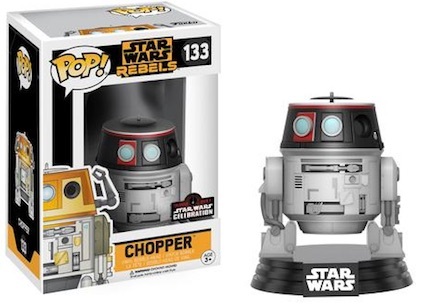 Other Funko styles, like Wobblers, are also an option. 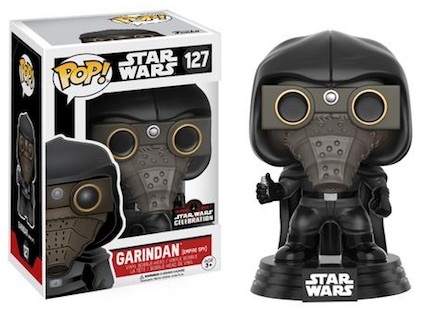 As has been the case for recent Funko exclusives, those visiting the convention must take part in a lottery in order to win a chance at the 2017 Funko Star Wars Celebration Exclusives. All figures also have shared exclusives with a different sticker, making it easer for fans to find some of them close to home. 2017 Star Wars Celebration takes place at the Orange County Convention Center in Orlando, Florida. The event runs from April 13 to April 16, 2017. 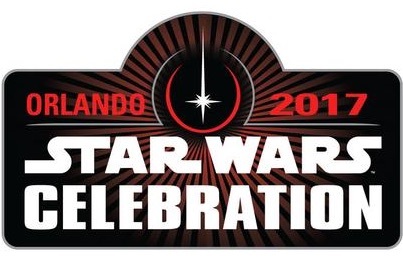 See full details at the official Star Wars Celebration website. 2019 Star Wars Celebration Chicago Exclusive Blue Chrome Chewbacca Funko POP! Click on the images or listings to shop for specific figures or to track prices on eBay. Direct links added when available. I have an orlando clone trooper “exclusive”. 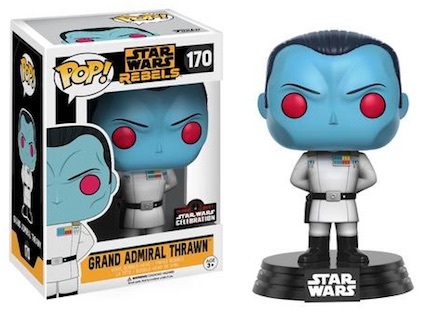 What makes this exclusive when I see the exact same one just with a different convention sticker (Galactic Convention) and that was supposed to be an exclusive too. Both look exactly alike, green, same 171 number. Some “exclusives” are issued through two or more entities. In this case, the only difference is the sticker. 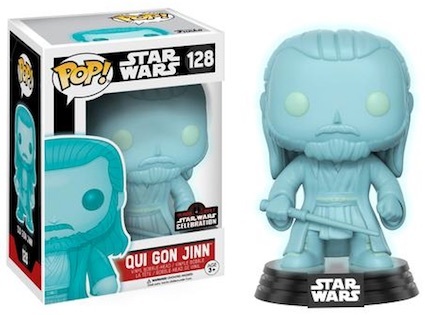 It does call into question the actual nature of an exclusive, but that is just how Funko does it.